Rittal is committed to its global strategic partnership with ABB to provide edge data centre solutions for industrial organizations. Rittal’s collaboration with ABB on secure edge data centres continues to grow, including through the annual ABB Customer World event in Houston, Texas. The strategic partnership covers various solutions and services including those for uninterruptible power supply (UPS), secure edge data centre solutions with fire protection, edge data centres for OEM manufacturers, scalable modular data centers as well as new power container solutions. 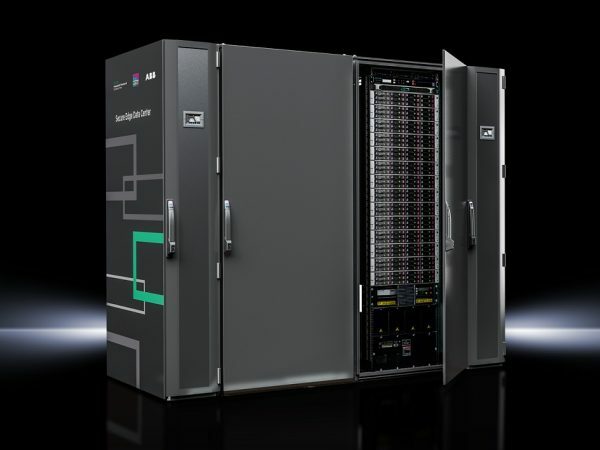 These prefabricated and resilient data centre solutions – such as the recently launched Secure Edge Data Center (SEDC) with Hewlett Packard Enterprise (HPE) – are purpose-built for harsh industrial environments to help digitalize operations, which will allow customers to run enterprise-grade IT in close proximity to their operational technology environments, machines and equipment to enable low-latency, secure and reliable digital processes. As a global organization, Rittal prides itself on its progressive approach to engineering. Rittal North America’s manufacturing centre of excellence facility in Urbana, Ohio, consists of more than a half-million square feet of space to ensure that customers’ production and stocking requirements are fully met. Rittal’s and ABB’s global strategic alliance was originally announced at DataCloud Europe 2018. Based on their proven partnership in the uninterruptible power distribution business, both companies aim to expand their solutions approach for modular, secure and high-availability data centre infrastructure, primarily in North and South America, Asia and Europe. Leveraging the joint global network of sales, engineering and service teams of both companies ABB and Rittal focus on the conception and development of modern data centres and edge computing. Rittal and ABB have a history of successful collaboration on projects including the implementation of a new data centre at a European airport, establishing a maximum-security and high-efficiency data centre for colocation services in a decommissioned mine. Modern edge data centres are essential for data-driven economies, where the Internet of Things are generating a massive amount of data. An edge data centre brings IT capacity closer to the place of data generation to enable low-latency, secure and reliable digital processes needed for many Industry 4.0 scenarios.